Paradis Express is a mixed-use ensemble that will comprise 162 residences, office space of 21.000 m² and a connecting commercial and service space. 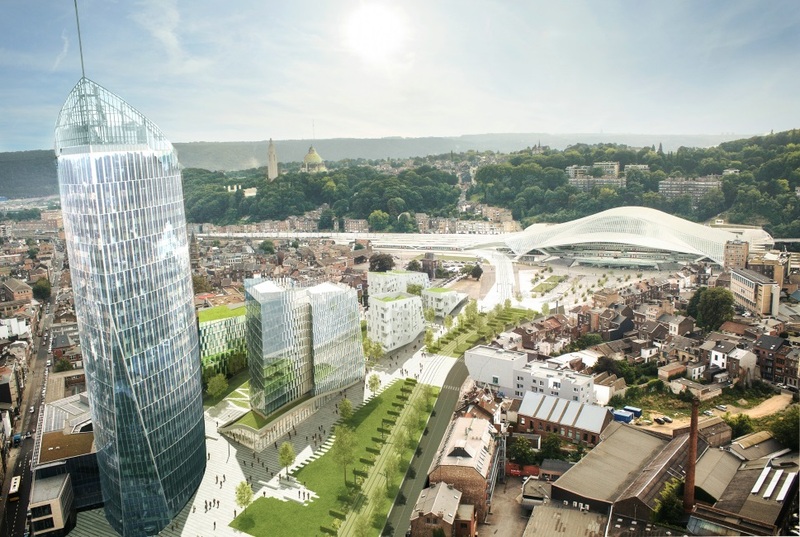 The complex will be located next to a future esplanade directly opposite the station of Liège-Guillemins and near the banks of the river Meuse, by the side of the new Finance Tower, the 118-meter-high Tour Paradis, also designed by Jaspers-Eyers Architects and BAG. 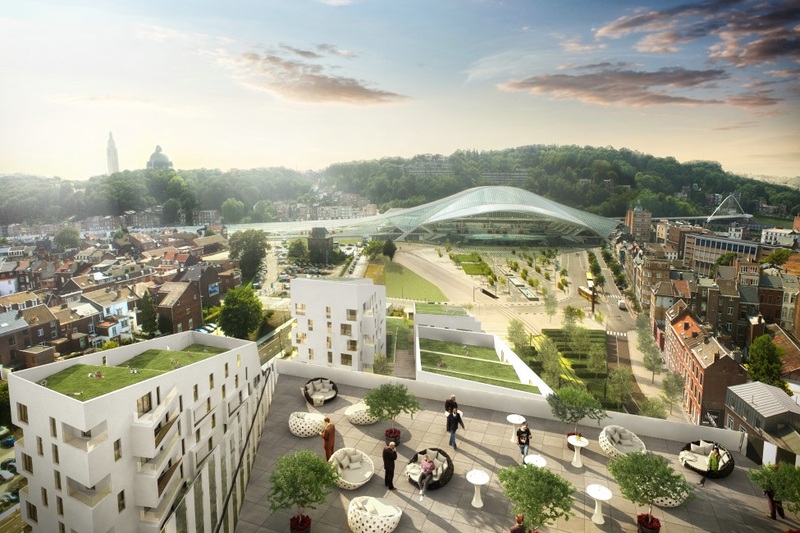 The project aims to bring more green space in the city and more harmony in the skyline of Liège. The site's open aspect, offering broad vistas, very good accessibility and continuity with the public space, is particularly well integrated into its environment and the urban fabric. The landscaping of the surroundings is based on green rolling and tree-studded waves reminiscent of the relief of the city, with its succession of hills and valleys. All the buildings have been designed to the passive standard and embrace the Near-Zero Energy Building (NZEB) concept. The criteria of quality, comfort and sustainability, in the choice of materials, energy performance, sun exposure, water management, waste, environment and mobility, were rigorously studied and rationally optimised. Finally, the project offers the BREEAM-recognised environmental certification.